Glass discharge tube on black wooden stand, of the decorative type introduced by Geissler. 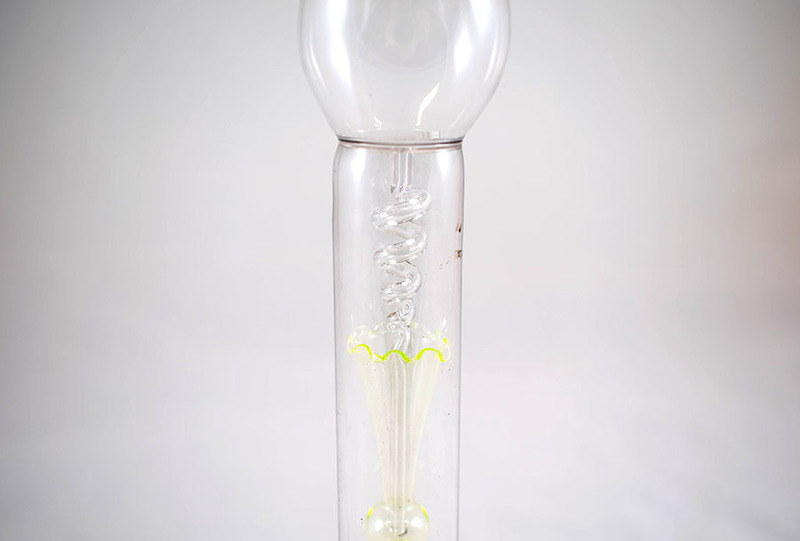 Unknown, “Geissler tube,” Heritage, accessed April 23, 2019, https://heritage.rcpsg.ac.uk/items/show/71. 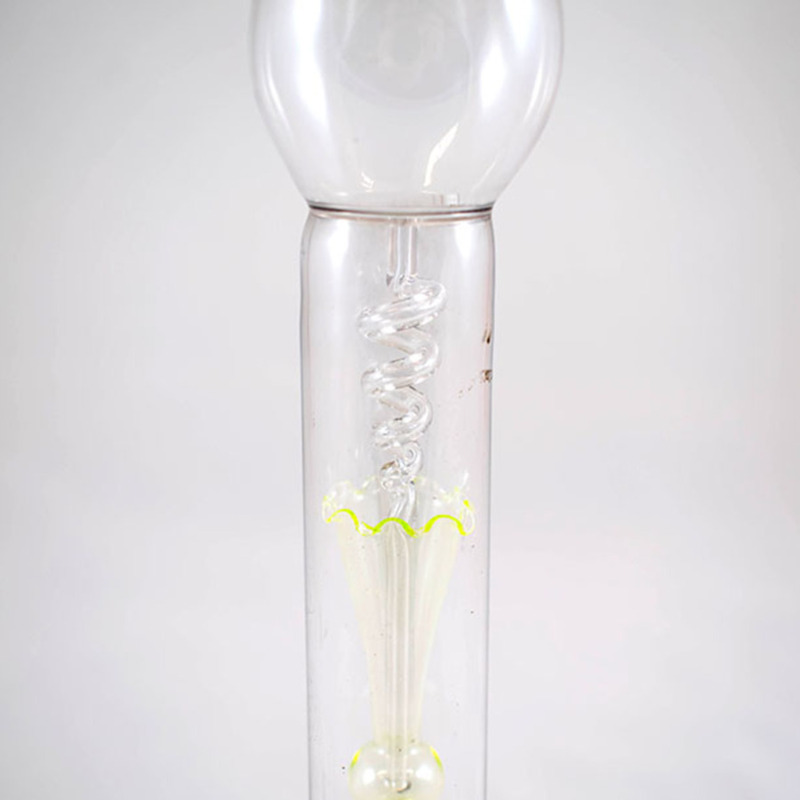 Description: Glass discharge tube on black wooden stand, of the decorative type introduced by Geissler.